A special edition of the library is included in Energia for the Educational BoosterPack MKII and the Kentec 3.5" screen, and comes as an external library for the Pervasive Displays e-paper screens, to be installed with the Libraries Manager. Watch the training video! As of October 2015, the LCD_screen Library Suite is no longer available for download except the Special Edition for Energia 1.6.10E18. ​Please refer to the List of Recommended Alternatives. 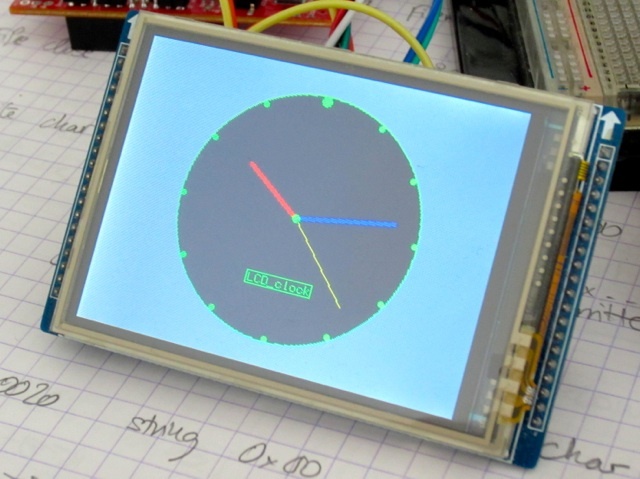 ​The new LCD_screen Library Suite was prompted by the affordable SPI-connected screens available for the LaunchPad MSP430 and Stellaris. Compatibility with previous high level libraries of the Serial_LCD Library Suite, such as GUI and Graphics. I've experienced a lot of fun developing the Serial_LCD Library Suite for 4D Systems screens. It is just amazing to consider that an Arduino board with a μLCD-32PT(SGC) 3.2” screen delivers more power than the initial IBM PC when it was launched back in 1981! However, three major evolutions have taken place since the initial Serial_LCD release back in May 10, 2011: widely available and cheaper screens, more powerful MCUs, popular libraries. The new range of 4D Systems screens offers unparalleled ease of use with the ViSi-Genie environment and perfect flexibility for the rapid application development of an elaborate graphic user interface. But in most cases, a basic screen is just good enough. So it's time for a new library suite! Basic screens are becoming more available and cheaper. Also widely available ARM-based boards pack enough power and I/O pins to manage basic screens easily, at very affordable prices. Graphic libraries offer support for multiple screens, whatever the connection they use, SPI, serial or parallel. Among the most popular, the UTFT library by Henning Karlsen or the GFX library by Adafruit.